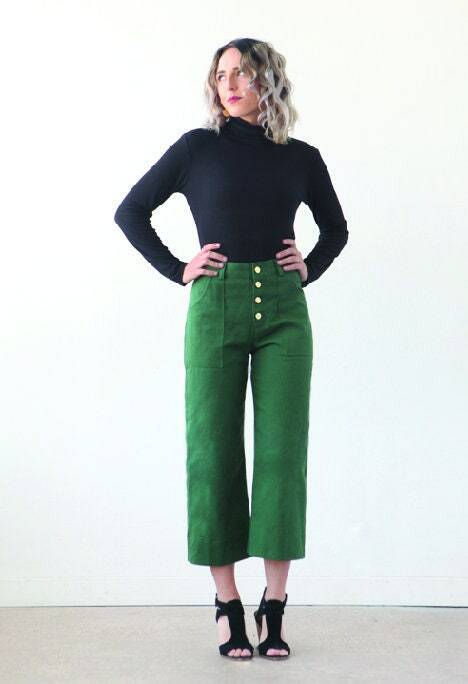 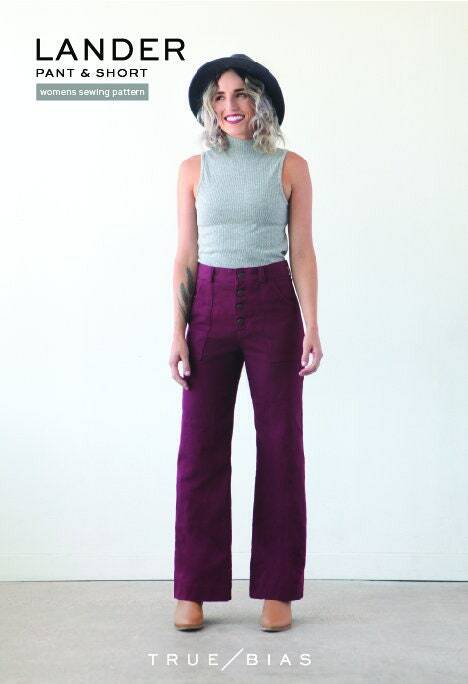 "With a high waist and button fly, the Lander pattern is not only on trend, but also flattering and comfortable for all body types. 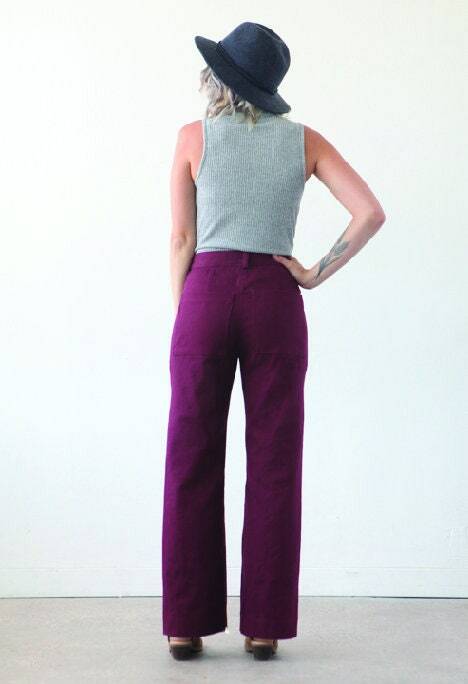 The pattern includes front and back patch pockets, belt loops, and a straight fit through the legs. 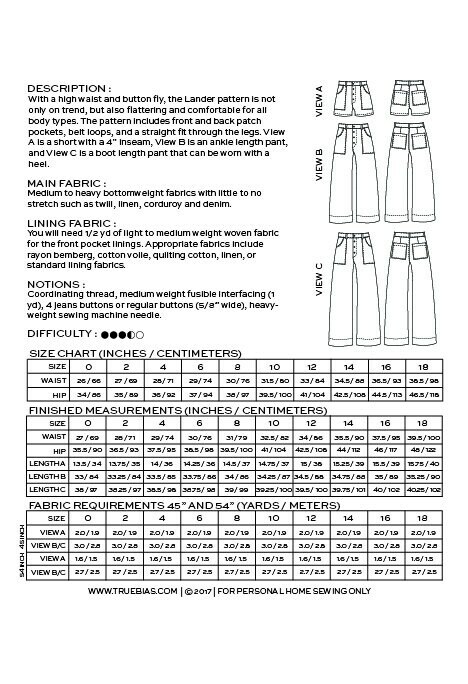 View A is a short with a 4” inseam, View B is an ankle length pant, and View C is a boot length pant that can be worn with a heel."